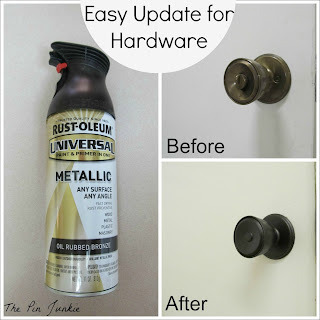 This week I showed how I updated the hardware in my laundry room. 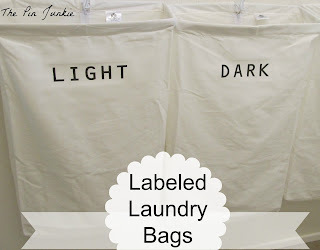 I also shared how I labeled laundry bags. It all added up to one beautiful laundry room makeover! Now it's your turn to share what you've been working on. Scroll to the bottom of the page to link up your projects, crafts, and recipes! But first, take a look at some features from last week's party. Another room makeover! This one is from Natasha at Serenity You. 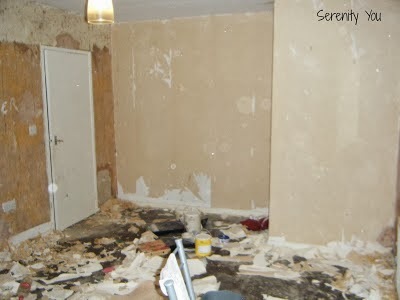 Visit her blog to see the after pictures! What a transformation! 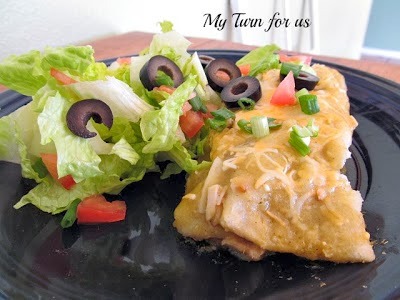 Evelyn at My Turn For Us shared a recipe for Skinny Green Chicken Enchiladas. Yum! These look good! I will definitely be making this for dinner soon! 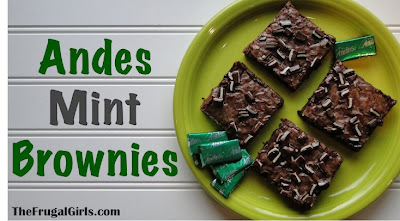 Heidi at The Frugal Girls shared a delicious looking recipe for Andes Mint Brownies. After I make those enchiladas, I'm making these brownies for desert! 1. Link up something YOU made - it can be a craft, recipe, or project as long as YOU did it. (No giveaways or contests please). 2. 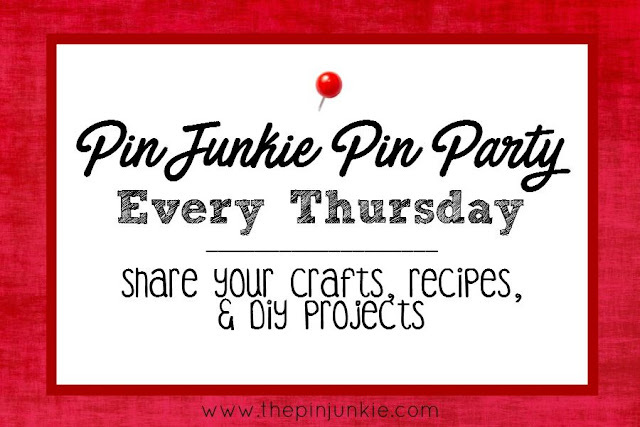 Follow The Pin Junkie on Pinterest, Google+, or Facebook. 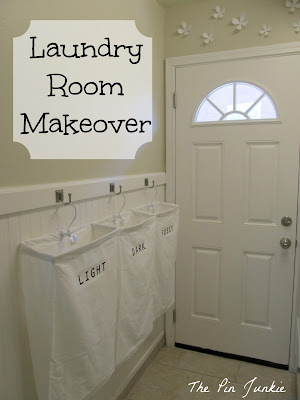 I LOVE your laundry room makeover! Thanks for hosting and for sharing your posts at our Finished Friday Link-up Party. It's really amazing how well this works and how much it looks like oiled bronze when it's finished! Can't wait to see how your project turns out! Thanks for hosting! I found your blog on a Blog Hop and am now your newest follower! Thanks for hosting! Your blog has some great ideas! I'm a new follower on GFC! Thanks for inviting me over. I didn't have anything to link from If It's Not Baroque so I linked up a recipe from my other blog. PS On my way to grab your feature button!!!! Thanks!!! You're welcome! They really do look delicious! Thanks for joining the party! Thanks for hosting. Linked up!! Thanks for Hosting, have a good weekend. Thank you for hosting! 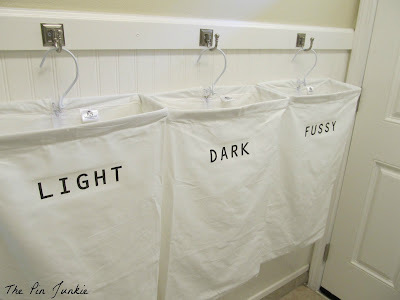 Love the laundry room make-over! Thank you for hosting another party! I also love your laundry room!!! I added my Blossom Handbag from Amy Butler. Feel free to post your giveaway links on my site under "giveaways"
what a great linky party! I will definitely come back and link up once the latest party is up!